Known as the ”Prairie State,” Illinois brings to mind Abraham Lincoln, the towering skyscrapers of Chicago, IL and drive-in movie theaters along Route 66. History buffs and museum goers will enjoy the various historical sites, world-class museums and other attractions scattered throughout the state. Here are top fun things to do in Illinois. 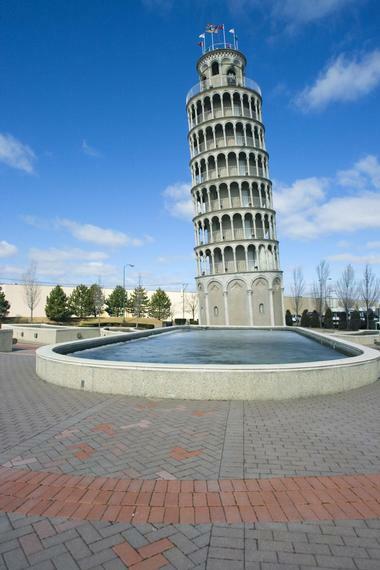 Erected in 1934, The Leaning Tower of Niles is a miniature version of the Leaning Tower of Pisa. Because of the tower, the village of Niles and the city of Pisa, Italy established a sister city pact in 1991. The tower was created as part of a 22-acre amusement park, and it was originally intended to conceal the water tower that supplied two large pools with water. Admission to the site is free of charge, and visitors are welcome to take photos, enjoy a picnic on the landscaped grounds, or attend one of the open-air music concerts put on by the city. Since opening in 2005, the Abraham Lincoln Presidential Library and Museum has become one of the most visited presidential libraries in the United States. Highlights of the museum include two special effects theater shows and life-size dioramas of the key settings for important events in Lincoln's life. The museum also rotates through temporary exhibits, which cover topics like the Civil War and past Illinois politicians. Walking tours of the museum are available throughout the summer. 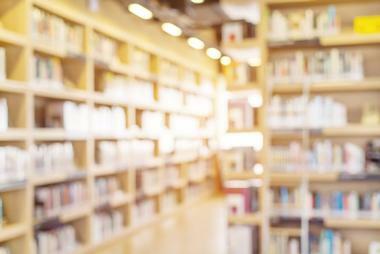 A research library is attached to the museum and open to the public, but rare books and manuscripts can only be read on-site. 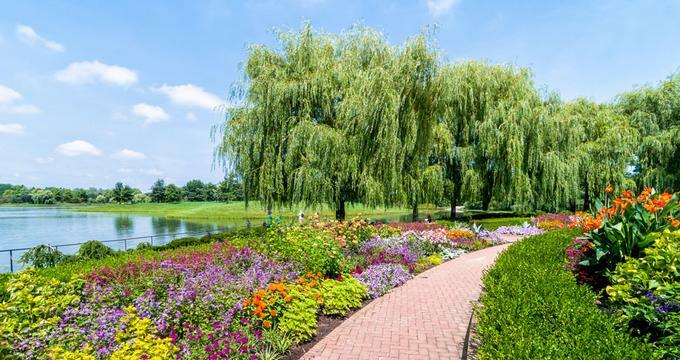 Situated on 9 islands in the Cook County Forest Preserves, the Chicago Botanic Garden is a 385-acre museum of living plants that boasts 27 display gardens. The gardens are spread out over four natural habitats, and visitors can access them either by foot or by taking a narrated tram tour. 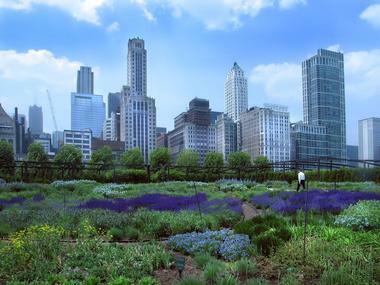 Admission to the garden is free, but non-members must pay for parking. Visitors will find a cafe and a gift shop on site. The garden is open every day of the year, and has a lively events calendar featuring activities like cooking classes, live music, and flower shows. If you are looking for fun things to do in Illinois for adults, this is a beautiful romantic place to visit. Designed by William Dennison, the Ulysses S. Grant Home was built in 1860 and is the former home of Civil War general Ulysses S. Grant. Residents of the city of Galena gave the home to Grant in 1865 as thanks for his war service, but he moved out in 1969 when he became the 18th President of the United States. 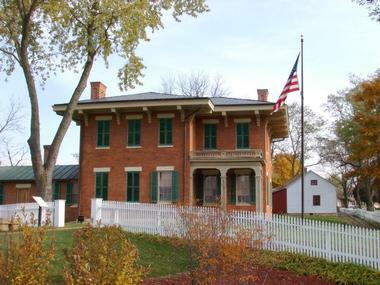 The home has been maintained as a memorial to Grant since 1904, and today it's a historic museum with rooms furnished in typical 1860s fashion. The home is open to visitors five days a week, and guided tours are available for a small fee. Located on the Riverfront Museum Park campus, the Discovery Center Museum is one of the top family attractions in Illinois. With more than 300 hands-on science and arts exhibits, the center has something for children of all ages. 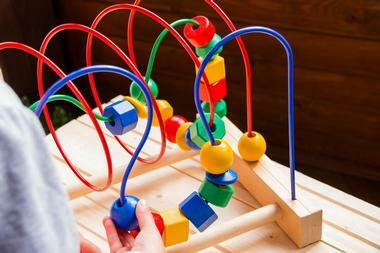 Highlights include a two-story maze, a play area aimed at babies and toddlers, and an exciting planetarium. The museum is open seven days a week, but is closed on select holidays. Admission is free for children under the age of two, and affordable memberships are available that provide members with a variety of perks including unlimited access to the museum. Open daily, Lake Katherine Nature Center and Botanic Gardens is an easily accessible non-profit park committed to engaging the public with nature. With 85 acres of land, the park spans a number of diverse areas including woodlands, wetlands, prairies, and a 10-acre lake. 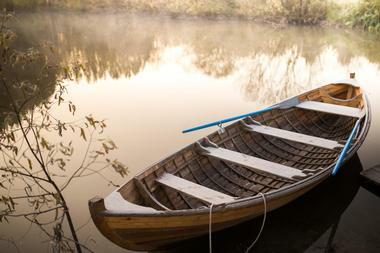 The park provides visitors with beautiful gardens, kayaks and canoe to rent in the warmer months, and a number of walking, jogging, and cycling trails. A menagerie of reptiles and animals can be found in the nature center, and the park also offers plenty of opportunities to see wild animals in their natural habitat. 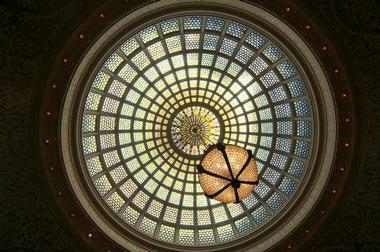 Founded in 1879, the Art Institute of Chicago is one of the oldest and largest art museums in America. The museum features a permanent collection of nearly 300,000 pieces of art, which are complemented by over 30 special exhibitions each year. The museum is open seven days a week, excluding some holidays, and regular tours are offered. Group tours and self-guided tours are also available. The museum's busy events calendar includes a wide variety of performances, lectures, and social events, most of which are open to the public. A gift shop is located on the premises, as are several dining establishments. The Museum of Science and Industry was established in 1933, and is home to more than 2,0000 exhibits as well as an Omnimax theater. Permanent exhibits include a full-size replica of a coal mine, an 'idea factory' aimed at children, and the Apollo 8 spacecraft which brought the first humans into orbit around the moon. Some exhibits require guests to pay an additional admission fee, and tickets can be purchased online, over the phone, or in person at the ticket counter. The museum is open every day of the year except for Thanksgiving and Christmas. Located on top of a bluff which used to be an island in the Illinois River, Buffalo Rock State Park offers visitors a magnificent view of the beautiful Illinois River. 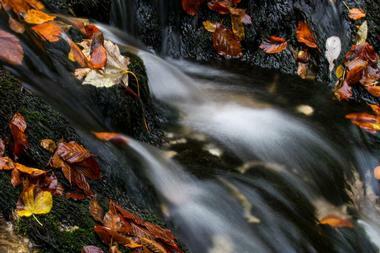 Consisting of 298 acres, the park was formerly used by the Illinois Indians as a "blind canyon" to capture buffalo. Today, the park features a herd of American Bison, a children's playground, a baseball diamond, and five animal sculptures built out of earth as a tribute to Native American culture. Two picnic shelters can also be found in the park, one of which includes a stone fireplace. Located on 4,000 acres in the Jackson and Union Counties, the Giant City State Park was named for the impressively massive sandstone structures found in the area. There are plenty of activities here to keep people entertained; the park features an equestrian campground, several fishing ponds, and a variety of hiking trails. At the Visitor Center, guests will find interpretive displays discussing the geology, wildlife, and history of the park. Anybody wishing to spend the night in the park can choose to camp or sleep in one of several cabins. The park is also home to a gift shop, dining room, and an outdoor swimming pool. 360 Chicago is an observatory on the 94th floor of the John Hancock Center, a 100-story, 1,127-foot skyscraper. The observatory provides a 360° view of the city, and on clear days visitors can see up to four states and over a distance of 80 miles. Other highlights of visiting 360 Chicago include taking a free interactive tour offered in multiple languages and purchasing a drink to enjoy while admiring the view. For an additional fee, thrill seekers can try the TILT platform, a panel of floor to ceiling windows that tilts visitors to a 30-degree angle over Michigan avenue. Established in 1893, the Field Museum of Natural History is one of the largest museums of its kind in the world. Permanent exhibits cover topics from ancient Egypt to evolution to the life of bugs, and visitors will be amazed by Sue, the most complete Tyrannosaurus rex fossil ever discovered. Several working laboratories are also found in the museum, and visitors can watch real scientists as they extract DNA, prepare fossils for study, and perform other tasks. The museum is open every day except Christmas, and it also offers 3D movies and educational programs for people of all ages. 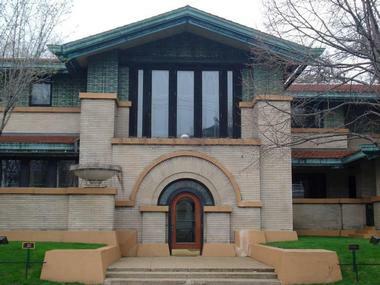 Created by Frank Lloyd Wright for socialite Susan Lawrence Dana in 1902, the Dana Thomas House was designed in Wright's Prairie Style and is home to more site-specific pieces of original Wright art and furniture than anywhere else in the world. At 12,000 square feet, the home is an architectural marvel made up of 35 rooms spread out over 16 varying levels. Photography is not allowed inside the house, but visitors can purchase souvenirs, reproductions, and books from the on-site gift shop. Hours vary depending on the season, but hour-long walking tours are offered year-round and are paid for by donation. 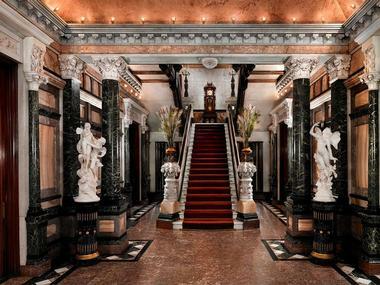 The Driehaus Museum is located in the Gilded Age home of banker Samuel Mayo Nickerson, one of the most expensive and elaborate residential buildings to exist in Chicago in the 19th century. 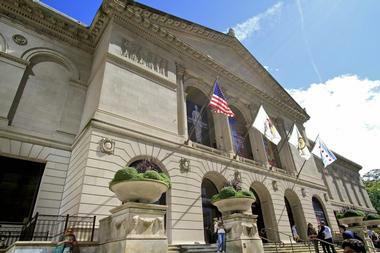 The museum was founded by art collector and philanthropist Richard H. Driehaus, who spent five years restoring the home to its former glory before filling it with historically appropriate art pieces and opening it to the public. The museum regularly hosts concerts, lectures, and family programs, and offers daily guided tours in addition to several seasonal themed tours. Private tours are available upon request. 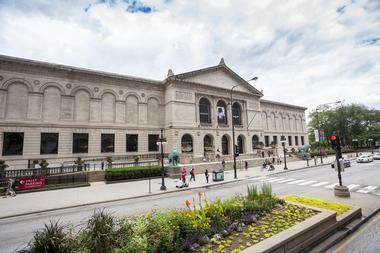 Built in 1897 as a public library, the Chicago Cultural Center is an architectural showpiece that is now one of Chicago's most comprehensive venues for art and culture. The stunning building has become an easily recognizable landmark, thanks in part to having the world’s largest stained glass Tiffany dome. Every year, the Center hosts more than 1,000 free programs and exhibitions which allow the public to experience a wide range of the performing, visual and literary arts. It also houses the city's official reception venue, where the Mayor of Chicago has welcomed leaders from all over the world. 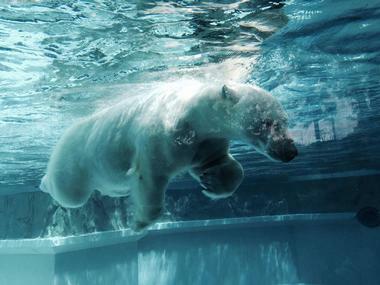 Founded in 1868, the Lincoln Park Zoo is one of the oldest zoos in the United States. The 35-acre zoo is home to more than 1000 animals from roughly 200 species, including polar bears, gorillas, lions, and zebras. In addition to field trips and programs for children, the zoo regularly hosts special events for adults like yoga classes, art shows, and evenings of live music. 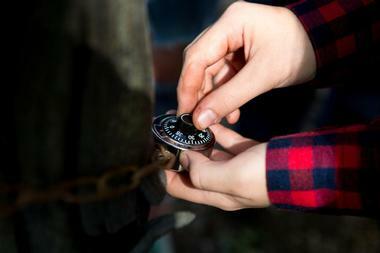 Escape Room is a social game based on a similar video game that took over the world in 2010. Escape Artistry is a Chicago-based company that produces innovative, immersive, and imaginative Chicago-based room escapes in which a group of three to ten people are given one hour to escape a room by working together. The most popular escape in Chicago is the Railcar Room Escape, which will make you never look at your daily commute the same way again. In the game, a normal commute becomes a nightmare race against time, in which you and your companions have to find clues, solve puzzles, and crack encrypted codes in order to stop the train and save yourselves and Chicago from certain disaster. You can play with friends, family, co-workers, or total strangers. It is the game of collaboration, tolerance, problem solving, empathy, and temper control. But, most of all, it is great fun. Check their website for other room escapes you might like. 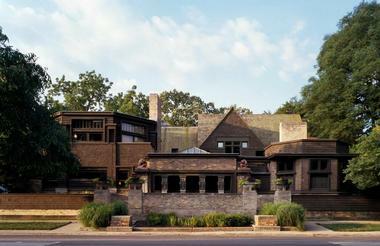 The Frank Lloyd Wright Home and Studio is a historic house designed by the famous architect it was named after. Declared a National Historic Landmark in 1976, the house was the birthplace of many of the architectural ideas that later came together to form Wright's signature style. The home has been carefully restored to appear exactly as it did in 1909, the last year it was inhabited by the Wright family. Guided tours of the interior of the home are offered, or guests can opt for a self-guided walking tour in one of the many languages offered. 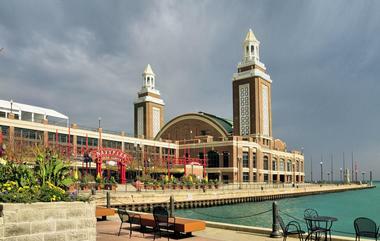 Located on the Chicago shoreline of Lake Michigan, Navy Pier is 3,300-foot-long pier that has become one of the top tourist destinations in the Midwest. Encompassing over 50 acres of parks, restaurants, store, and family attractions, the pier is home to the Chicago Children's Museum, Chicago Shakespeare Theater, and a wide range of outdoor art displays. There are plenty of things to do at the pier year round; fireworks are displayed in the summer and fall, an indoor ice rink is erected in the winter, and dinner cruises are offered every month of the year. Situated along the lovely Rock River in Rockford, Nicholas Conservatory & Gardens is an 11,000-square-foot conservatory that brings a touch of the tropics all the way to the Midwest. The indoor plant exhibition area includes a variety of beautiful water features, convenient seating areas, and unique sculptures. Outdoor highlights include two fountains, a waterfall, a pedestrian bridge, and several patio areas. Guests wishing to spend extra time at the conservatory can join in one of the many activities offered, or enjoy lunch at the on-site café. 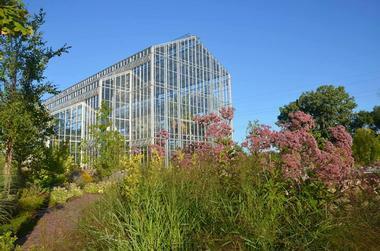 The conservatory is open six days a week, and half-price admission is offered on Tuesdays. 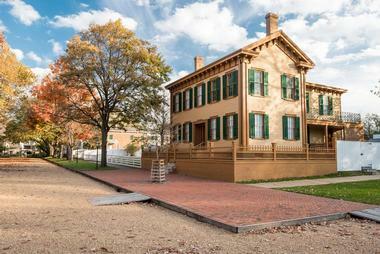 The Lincoln Home National Historic Site is the preserved former home of Abraham Lincoln, where he lived between 1844 to 1861 before becoming the 16th President of the United States. The historic home contains 12 rooms, and is the only one Lincoln ever owned. The site is open daily throughout the year, excluding certain holidays. No admission fee is charged, but donations are gladly accepted. Visitors can only enter the home with a free ranger guided tour offered on a first-come first-served basis, and tickets for the tours can be obtained from the Visitor Center Information Desk. 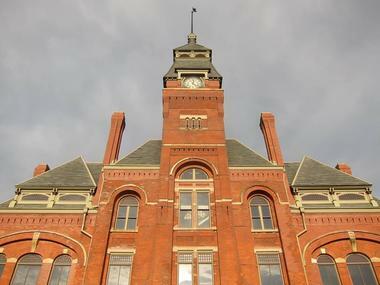 Originally built as a place to produce the famous Pullman sleeping car, the Pullman National Monument was the first planned industrial community in the United States. The Pullman company officially went out of business in 1969, leading to proposals to demolish the community, but residents gathered together and petitioned the government to recognize the site as an important historic place. They succeeded. Decades later, in 2015, the district was named a National Monument and the area became part of the National Park System. As such, there is no fee to view the monument, but donations are gratefully accepted. 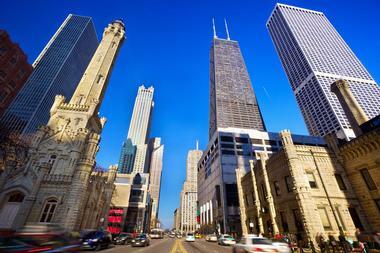 The Magnificent Mile is an eight-block stretch of Chicago's downtown North Michigan Avenue. With its wide variety of more than 460 mid-range and high-end shops, the area is Chicago's premier shopping destination. 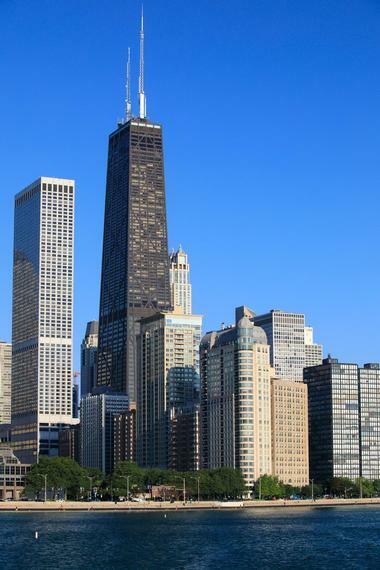 The strip is also home to several different museums, hair salons, upscale hotels, spas, and Chicago landmarks like the Wrigley Building and the Tribune Tower. Visitors who've had enough of shopping can enjoy a meal at one of the many excellent restaurants in the area. The Magnificent Mile also hosts several special events throughout the year, including a summertime shopping festival and an annual Christmas tree Lights Festival. 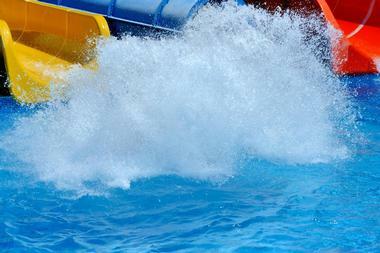 Grizzly Jack's Grand Bear Resort features an indoor water park located right next to the historical Starved Rock area. At 24,000 square feet, the water park boasts a large wave pool, a lazy river, several water slides, and a children's play area. The Enchanted Forest is the mini theme park on-site; it includes a ropes course, a laser tag area, and a number of children's rides. The resort also offers a variety of rooms, villas, and cabins for rent, and water park and theme park admission are complimentary for guests who spend a night at the resort. Cantigny Park is located just 30 miles west of Chicago, and it spans 500 acres. The park is the former estate of Chicago Tribune publisher Robert R. McCormick, who asked that the property be transformed into a park for public use after he passed away. Beautiful landscapes and gardens cover roughly 30 acres of the property, while 300 acres are dedicated to an elaborate golf complex. The park is also home to two museums, a picnic grove, and several restaurants. Concerts, festivals, and other special events are held at Cantigny throughout the year, and it's also a popular wedding venue.